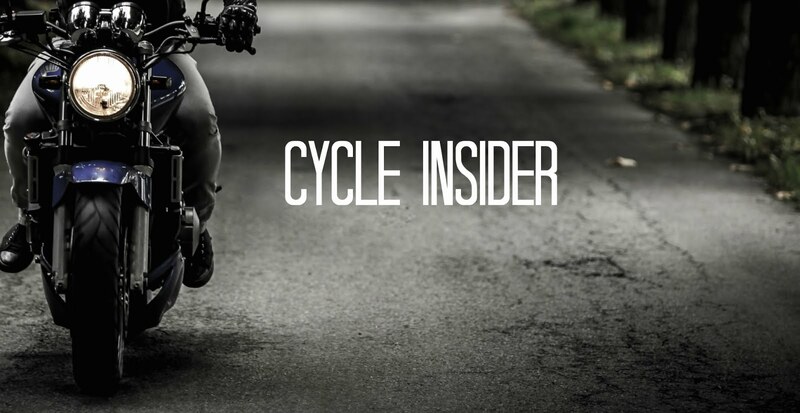 There’s always something new to catch you up on in the motorcycle industry. This month, we’ve picked 5 stories you don’t want to miss. Check out the latest May headlines below. Harley Announces Plan to Hire Interns to Ride Across America - Harley-Davidson recently announced their plan to hire a few lucky interns to ride across America as a part of their #FindYourFreedom internship. Harley will teach each intern how to ride a motorcycle with their H-D Riding Academy course. The chosen few will then collaborate with Harley’s marketing team to create unique social media content while they are out on the road to help Harley with their goal of growing and raising awareness for motorcycling. And get this - each intern gets to keep the Harley they’ve been riding for FREE (yeah, you read that right). Read More. Indian and Carey Hart to Celebrate Armed Forces Day With Troops - Indian Motorcycle and freestyle motocross rider, Carey Hart have teamed up to take Hart’s “Good Ride” fundraising platform overseas to soldiers based out of U.S. Army Garrison (USAG) Stuttgart in Germany. “Good Ride Salutes USAG Stuttgart” will honor U.S. military soldiers with an Armed Forces Day ride and barbeque celebration on May 20th. To support the ride, Indian Motorcycle will donate up to $30,000 to the Infinite Hero Foundation from test rides completed at Indian Motorcycle dealerships during the month of May. 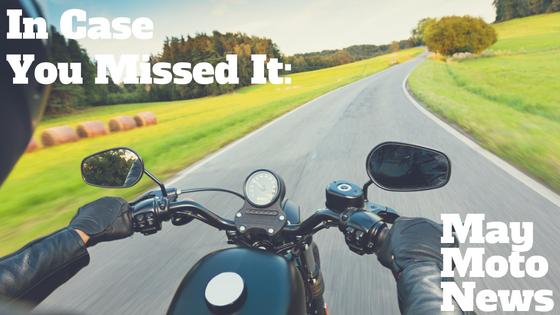 It’s always awesome when the motorcycle industry gives back. Read More. Ducati Scrambler 1100 Hosts Open House Events at Select Dealers - Select Ducati dealers recently hosted events across the U.S. and Canada to celebrate and introduce the new Scrambler 1100 to the public. Consumers had the opportunity to test the new model which is available in three distinct variants, the standard Scrambler Icon, the Scrambler 1100 Special, and the Sport version. We are excited to see these bad boys out on the road. Read More. Harley Debuts New Retro-Inspired Helmets - In other Harley news, the manufacturer recently released a line of helmets that have old-school style and modern protection in a continuing effort to attract new riders. There are three helmets in the line, each complete with modern functionality and a retro look. These helmets are available at over 750 authorized Harley-Davidson Riding Gear & Apparel retailers across the U.S. Time will tell if these helmets will help the effort to gain new riders, but we’re feeling their look. Read More. And for all your powersports folks out there… Polaris Celebrates 20th Anniversary of the RANGER - For the past 20 years, Polaris’ RANGER has been one of the top selling utility side-by-sides, and the company plans on celebrating this milestone. Polaris is calling upon RANGER owners to share their stories about their unit for the chance to win one of three ultimate RANGER experiences. The winner will pick from an all-expense paid ultimate rodeo, fishing, or hunting adventure hosted by professionals for a once-in-a-lifetime experience. Read More. Which stories interested you this month? Let us know your opinions and thoughts in the comments below.